This book is interesting on several levels. “Nordiska hjältesagor, berättade för barn och ungdom” is a Swedish two-volume work first published in 1905-1906. 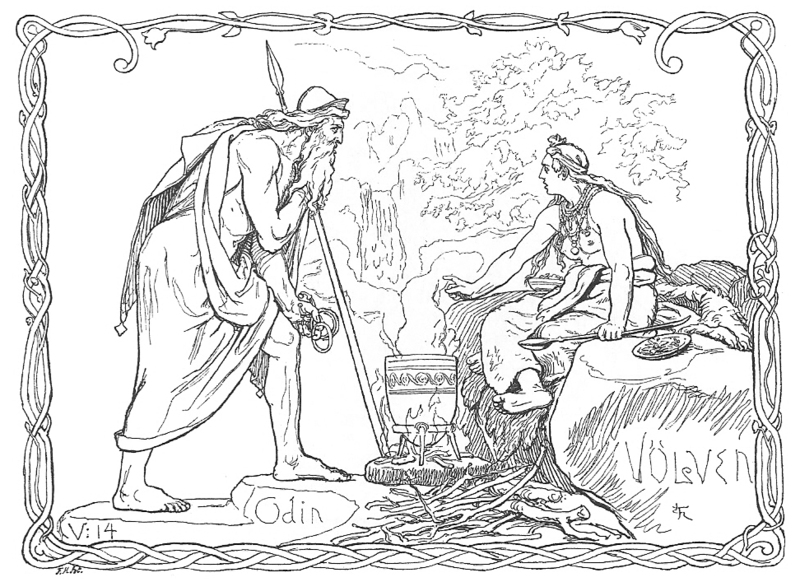 The work contains Norse sagas, retold for children and youth by Kata Dalström (often known simply as Kata), who edited the original material and made it somewhat easier to digest. The operative word here is “somewhat”, since even in Kata's versions, the sagas are violent and sound extremely archaic (even apart from the old style Swedish spelling). Clearly, adapting material for younger readers didn't mean to dumb it down! I'm sure Swedish kids circa 1905 were delighted to read about Ragnar Lodbrok, Örvar-Oddr or Amleth. The real highlight in this volume, however, is the Saga of the Völsungs. Ever wondered were Tolkien got all his ideas from? Personally, I was more intrigued by Amleth. Yes, that is the original Norse version of a certain Prince Hamlet of Denmark, made immortal by William Shakespeare… Kata actually calls the Old Norse hero “Hamlet” in the edited version. I don't know why Kata Dalström liked this material, but she also edited volumes on Greek mythology and mammal biology (sic), so perhaps she was simply into Volksbildung. Her political and religious works doesn't seem to deal with the Viking Age at all. I don't think she liked Brynhild, the most psychopathic-emotional female in all of world literature! Even so, I admit it's great fun owning a copy of “Nordiska hjältesagor…af Kata Dalström”.